The ill-fated marriage of popular sungura musician Alick Macheso’s daughter Sharon and her estranged husband of four years Kudakwashe Munetsi came to a formal end during a hearing at Harare’s High Court yesterday. Justice Loice Matanda-Moyo said the petition for divorce by Macheso was granted on the grounds that the couple had lived apart for four years. 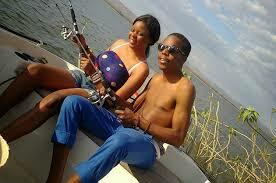 Neither Macheso nor Munetsi were in court for the decree nisi. On Thursday last week, the two signed a consent paper, agreeing to go separate ways. “We, the undersigned Sharon Munetsi (nee Macheso) and Kudakwashe Gladmore Munetsi, the plaintiff and the defendant respectively…agree that in the event of this honourable court granting an order of divorce then, if it pleases this honourable court, the following shall be incorporated in such order, that a decree of divorce be granted. “Defendant to provide maintenance in the sum of $50 towards upkeep of the minor child…born May 13, 2015,” the consent paper reads. According to the consent paper, Macheso will be granted custody of the minor child, while Munetsi will be given access to the child on alternative weekends and public holidays. The two, according to court papers, got married on August 6, 2014 in terms of the Marriages Act Chapter 5:11 at the Harare Magistrates’ Courts. “The marriage relationship between plaintiff and defendant has irretrievably broken down to the extent that there is no prospect of the restoration of marriage on the following grounds: the plaintiff and defendant only stayed together as husband and wife for two months from the date of marriage. “The plaintiff and defendant have lost love and affection towards each other. The plaintiff and defendant are now estranged and incompatible,” the court was told.